You have the right to ask for help. Claims for disability can be filed at your local VA office, VA medical facility and online. 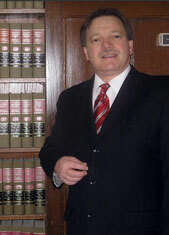 You may also request the assistance of a private attorney who can help to ensure that your claim is filed properly. This particularly holds true should you disagree with the disability rating you receive from your physician or if you have received a denial for your claim. * Your disability rating relates to the amount that you would be awarded for your disability. Meet Deadlines. As with all applications, there are deadlines. Do not miss any deadlines under any circumstances. One deadline you will not want to forget about is the appeal deadline. Should you appeal your disability rating, you must file your appeal (Notice of Disagreement) within a year following the denial or rating decision by the VA.
Rest Assured that Increased Compensation is Possible. You may receive reconsideration for your denial and possibly increase your disability rating for a higher compensation rate should your condition become worse over time. These conditions include, but are not limited to, Post Traumatic Stress and back pain. Hire a Lawyer for Appeals. The appeals process can be complex. It is wise to omit any risk of inaccurate or incomplete information. For this reason, it is advised to visit a Veteran’s Disability Attorney who can prepare Veteran Disability paperwork, file appeals and attend Board of Veteran Appeals hearings with you. If you need a lawyer, call Burton Padove at 219-836-2200. Awesome post, it’s been a while since I’ve been on here. I see that nobody has lost their passion. Good to be back. t’s such a tickety-boo site. cool, acutely fascinating!!! I have been back here 3 times now and am completely loving the energy on this discussion. Thanks for a wonderful outlet to read top quality information. Glad to see that this site works well on my iPhone , everything I want to do is functional. Thanks for keeping it up to date with the latest. It was interesting. You seem very knowledgeable in your field. I’m not sure I can out-comment anyone else on this article, but I do it’s good. I think your style of writing gives readers a reason to think and rethink. You made this content smart and very engaging and I think that’s great. This is wonderful reading material that’s good for anyone that likes to read informational articles. Thank you. Really nice article you wrote here! I feel a little self-conscious writing a comment with all the other intelligent sounding comments here, but I feel I should. I believe you’re right on many of your points in this article. Thank you. I must think a lot like you, because your views and mine are similar. Your article created a lot brain activity for me. Thank you. Thank you for writing this article in such clear terminology. You are great with this kind of content and I agree with your unique thoughts. I know high quality work when I see it. Your content is of high quality and it’s apparent you hold yourself to a higher standard than most. Keep writing like this and I’ll be back. This original content is out of the ordinary. I appreciate that you’ve gone off the beaten path with your points and I agree with most. Thank you for writing this article in terms readers can actually understand. This topic can be confusing, but you made it so clear that I am glad I landed here. This article is certainly well-written. This is a rare instance these days. This writer really has the information together in this article and is on the ball. I share the fresh views of this writer. Your content for this article is obviously intended to provoke thought in the reader. I can tell because it made me think about the many points you stated quite clearly. I really like your style. The viewpoints you make in your article are so well stated. This is easy to understand from the beginning. This is interesting to read. Thanks for clearing up some things I have been thinking about. I found this content engaging and informative. Thank you for the hard work you put into researching this article. I can appreciate the effort it takes to make this kind of information interesting and unique. This article was written by a real thinking writer. I agree many of the with the solid points made by the writer. I’ll be back. This content is constructed for thinking readers. I found this to be interesting, for lack of a better word and contains excellent points. Thank you. I appreciate great content when I see it. This is really a good informative article. You make valid and original points that I agree with in many ways. Thank you for writing engaging quality content. It is better have your blog at hand than just searching on the web all the time. This is very interesting content on this subject. I like the way you back up your information with solid thoughts. Your content is very well laid out and clearly researched. I can tell the writer of this article went above and beyond to research this information. I’m very impressed with your views and writing style. I’m glad wrote this article. I actually see almost eye-to-eye with you on virtually every point. This is a lot of great information. Thank you. Writers are a unique breed. You know when you’re reading content written by an expert, or at least a very intelligent writer. This article is virtually perfect in my opinion. I personally think your article is awesome! I am intrigued with much of your information and am persuaded to agree with you after reading your material. I’m hoping you’ll add more articles on this topic. I like the way in which this article was presented for us to enjoy. It has a certain flair about it that places it first above many that give us a good reason to think. Your article shows lots of talent in this area and I hope to see more work from you in the future. I will show my fellow colleagues this well-written content. I’m not usually into information like this, but you sparked my interest. This is a quality, well-written article that is engaging to read. You’ve given me much to think about. Words are something you are apparently good with as seen in this article. I think you have a lot of great wisdom on this subject. I like your writing style. Your respectful publish has intriguing content. Hope that you update this once more very soon. Your information is really great. I like this article. You have given rise to many points that I agree with and have enjoyed reviewing. You have a lot of really good information in this article. Great job on this article. I haven’t read anything this thought-provoking in a long, long time. I agree with much of what you have stated. This is well laid out and written in my opinion. This is a great article. You make a lot of sense and I agree with many of your views. I don’t disagree with anything you have written, but some of this really has me thinking. Amazing site, where did you come up with the information in this post? I’m pleased I found it though, ill be checking back soon to see what other articles you have. Your writing style is phenomenal as is your information in this article. You managed to keep things upbeat and engaging here while giving your readers some things to think about.